There is great excitement about the Volvo Ocean Race coming to Galway on the 30th June 2012 so much so that Galway has built a huge quay side festival around it which will cater for pretty much everyone even if you haven’t the remotest interest in the boats or the racing itself. It was a rip roaring success the first time Galway hosted the event in 2008 mainly due to the fantastic weather, fingers crossed we’ll get the same again as the city is gearing up to welcome some 100,000’s of visitors over the next week when the Volvo Ocean Race which began in Alicante, Spain in October 2011 comes to a close after 39,000 gruelling miles. 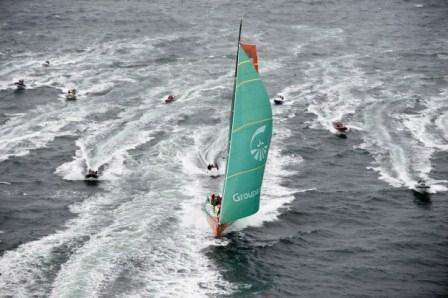 Six teams Abu Dhabi Racing, Camper with Emirates, Puma Ocean Racing, Team Sanya, Team Telefonica and Groupama (the French team leading the race at the moment) will set off from L’orient in Volvo 70 footers (the fastest in the world) for the final leg and finish of the race in Galway. And while the star attraction will undoubtedly be those 6 Volvo yachts and their crews battling it out to the finish in Galway some time next tuesday the 3rd of July, there is going to be so much sailing and waterside action with a full programme of in port racing, daytime events and evening entertainment, we wont even notice if it rains. In fact it is going to be one huge party from start to finish! For full details of the festival and events visit Volvo Ocean Race Festival Or as they say there is an App App for that. But be warned access will be limited so to avoid the inevitable traffic jams either Park & Ride from Ballybrit Racecourse €5 or hop a rib from Kinvara with Ribwest €18 or take a ferry across Galway Bay from Ballyvaughan with the O’Brien Line €20. Failing all that and if you cant make it to Galway one of the days you can always watch the live action here. 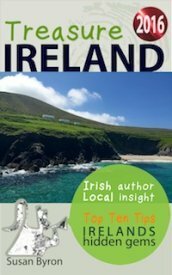 For more information about Galway please click here.